Can I tell you guys something? I don’t love carrot cake. I mean, I don’t dislike it by any means. If someone served me a big ol’ slice with a pile of cream cheese frosting I’d down that in no time. But I also would never go to the effort of actually ordering it from a bakery or a dessert menu and if suddenly it disappeared and ceased to exist in the universe anymore I wouldn’t be super sad. Ya feel me? Now Brazilian carrot cake is a different story. Most of you guys know I used to live in Brazil (doing missionary service work in my 20’s) and the first time someone served me “Bolo de Cenoura” (aka carrot cake) I was super confused. But why are there no carrot chunks in it? And why is it orange? And is that chocolate on top?! And you guys, THIS is how I like my carrot cake. It’s absolutely nothing like American carrot cake. This is a very traditional cake in Brazil; it’s not something that’s associated with Easter and spring time the way carrot cake here in the US is. 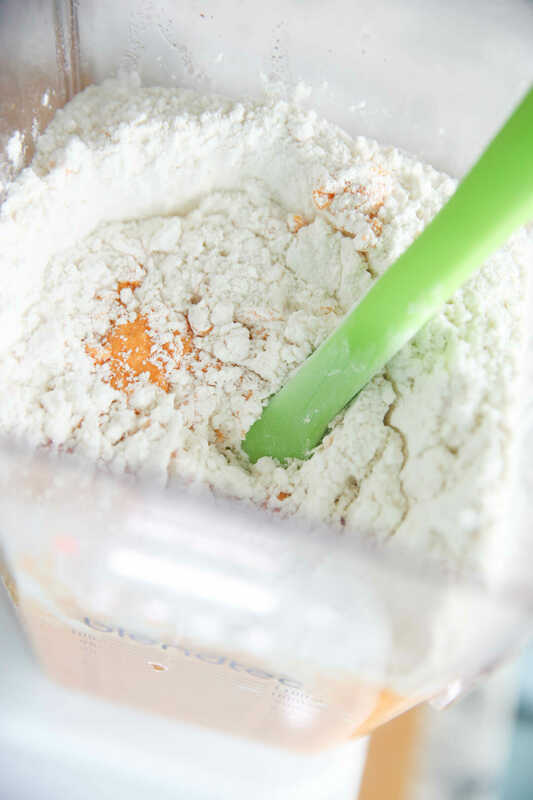 It’s a super simple recipe and the carrots are actually pureed into the batter so it’s completely smooth. They add a perfect subtle sweetness and a beautiful orange color. 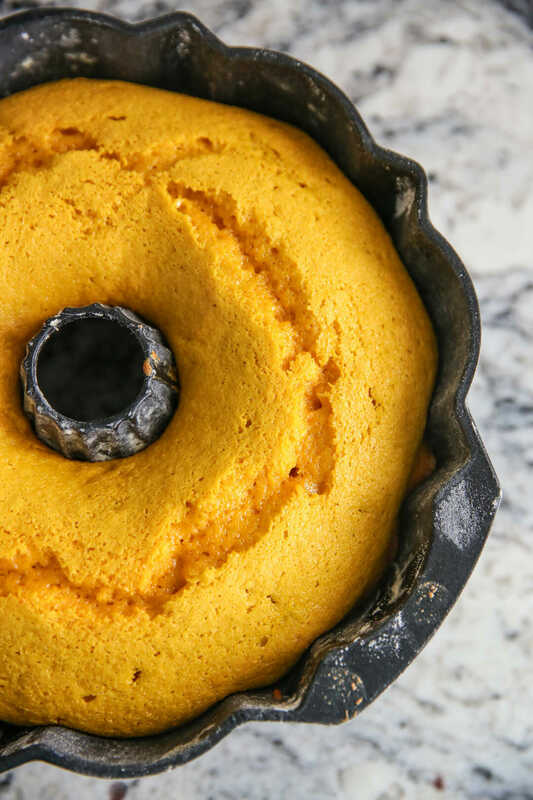 I found this recipe in a pile of hand-written notes I brought home from Brazil, but it’s pretty much the standard recipe that you’ll see everywhere if you look for Brazilian Carrot Cake (well except the frosting, that’s mine- more on that later.) 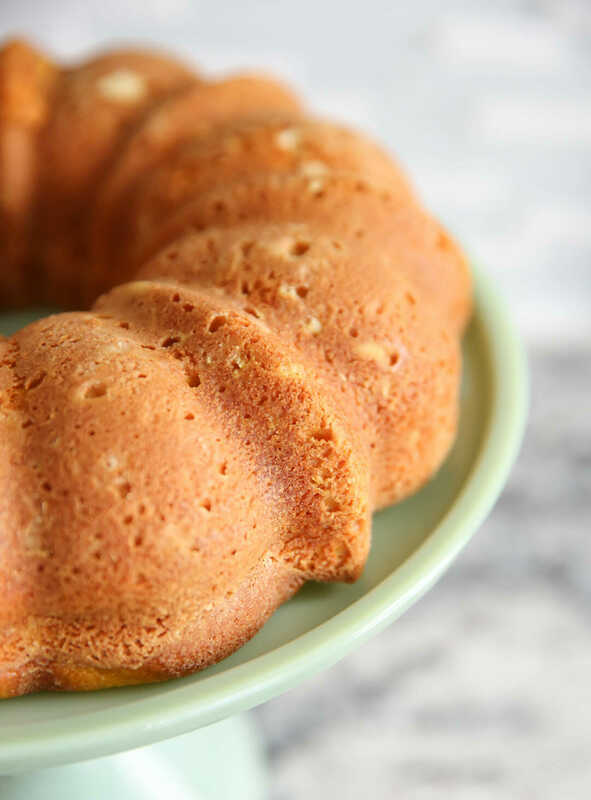 This cake will forever remind me of my Brazilian friend Joe Miranda (who everyone called simply, Miranda), who rode around on a bicycle with a little cooler on the back selling delicious goodies made by his darling wife Delores. 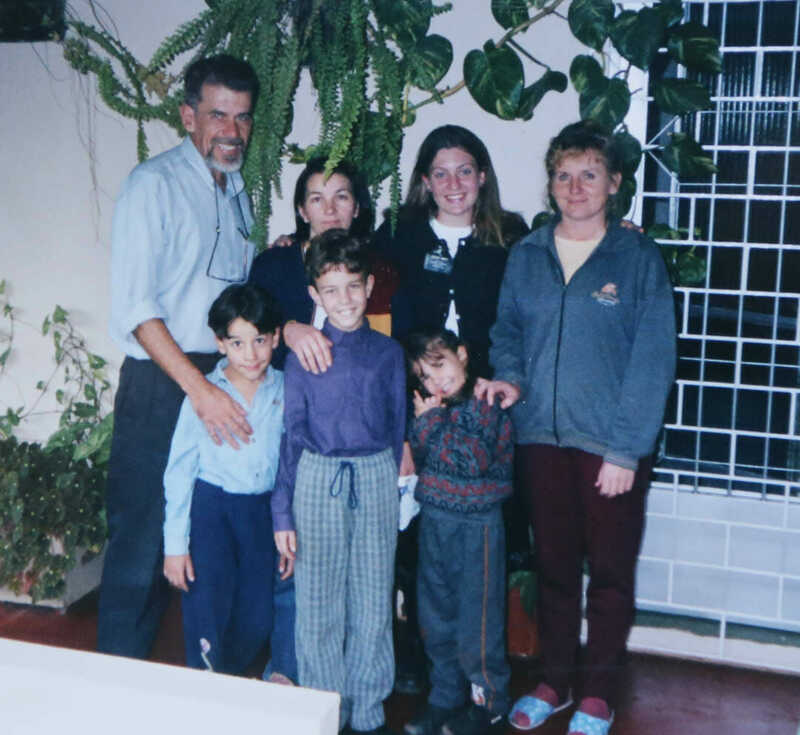 They taught me how to speak Portuguese without sounding like an American and invited me and the other missionaries into their homes and treated us like family. Vandi was like father to me and would bend over backwards to help us with anything. 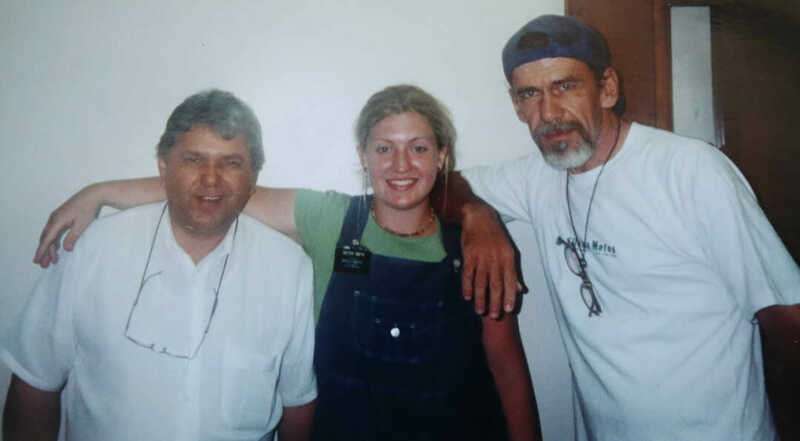 And Miranda would often stop by the little office in the church we used to use as an office and make me say things like “alho” and “olho” (garlic and eye, respectively) over and over again until my accent didn’t sound like a gringo. He was funny and sarcastic and made me feel like I wasn’t so far away from home. When I got transferred out of that area, I missed these two guys the most. Every time I bite into a slice of this Brazilian carrot cake I’m brought right back to that city, sitting in the little chapel, joking and laughing with Miranda. So now that you know the story, you’ve got to see the cake. Did I mention you make the entire cake in a BLENDER? That’s right, I just toss everything in the blender. No KitchenAid, no hand mixer, just blend it up. 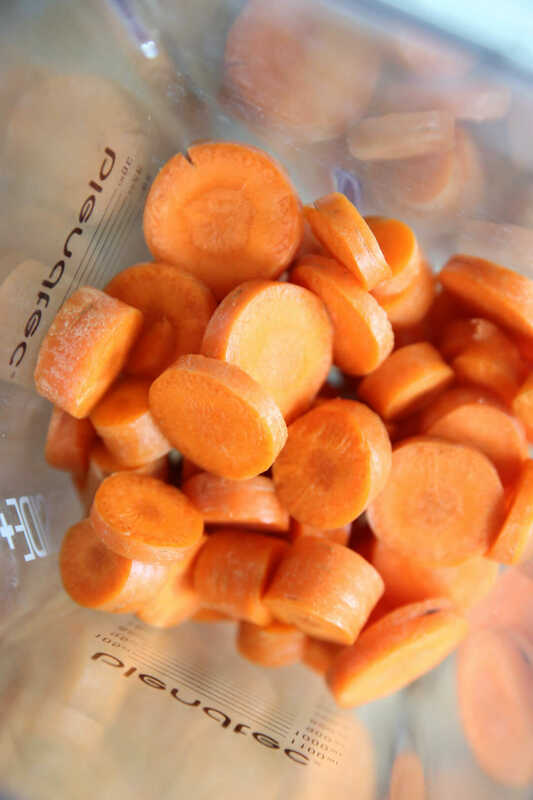 Start by tossing sliced carrots in the blender. No need to even peel those carrots, just make sure to give them a good watch, first. These get completely pureed with eggs, oil, and sugar. A couple people in the comments asked if it was necessary to cook the carrots first and the answer is no! I just leave my blender on for a full minute to make sure the batter gets nice and smooth. Then the dry ingredients go in. I like to just take a spatula and roughly hand mix the flour first and then give it a few pulses so it gets fully incorporated. You get this beautiful orange carrot color! That’s it! Pour it in either a 9×13 baking dish, or a bundnt pan. I’m making a budnt because I thought it would be extra pretty for Easter, but a 9×13 works great, too. 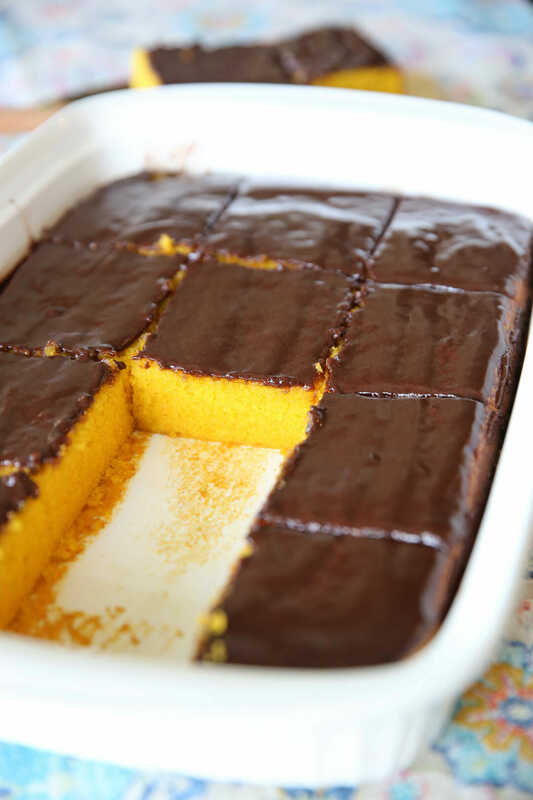 It keeps that golden-orange color and bakes up soft and sweet. 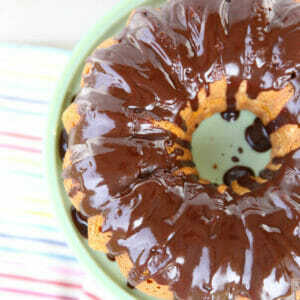 Now here’s a trick I use when frosting bundt cakes. I don’t like just drizzling frosting over them because then most of it ends up on the plate. 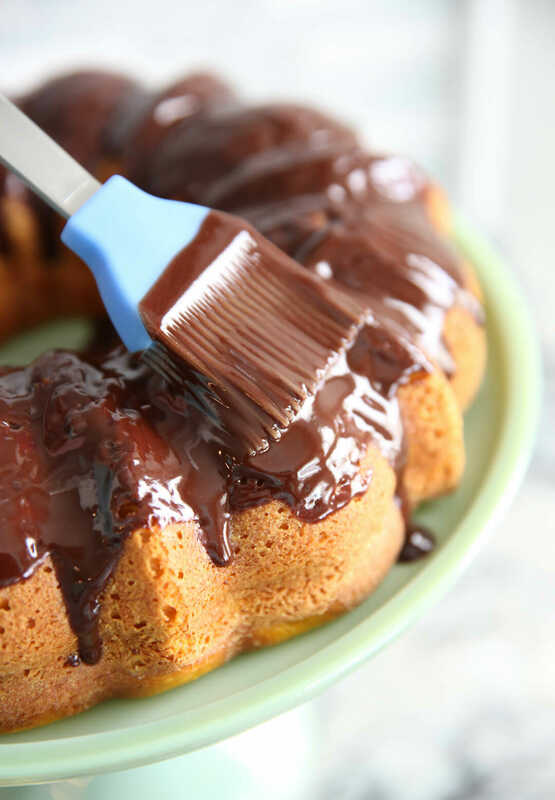 I want each piece covered in that stuff so I use a silicone pastry brush and I first just “paint” the glaze over the whole cake. After it’s evenly coated, then I go ahead and drizzle on the rest so it looks pretty and gets those beautiful drip lines. If you’re making a 9×13, you’ll notice it’s a very thin layer of chocolate. That’s usually how it’s made, and especially with my richer chocolate glaze, I didn’t want it to overpower the mellow cake, but if you want to, you could certainly double or 1 1/2 it. Inside this cake is so (I’m gonna say it) moist. The carrots add the perfect subtle sweetness. If you didn’t know it had carrots in it, you probably wouldn’t guess it. It’s a really unique flavor, but not weird at all. It’s just sweet and soft and delicious. I hope this one joins the ranks in your own Easter traditions as it has mine! Remember if you’d like to see more of my Brazilian recipes, you can find them all, here! 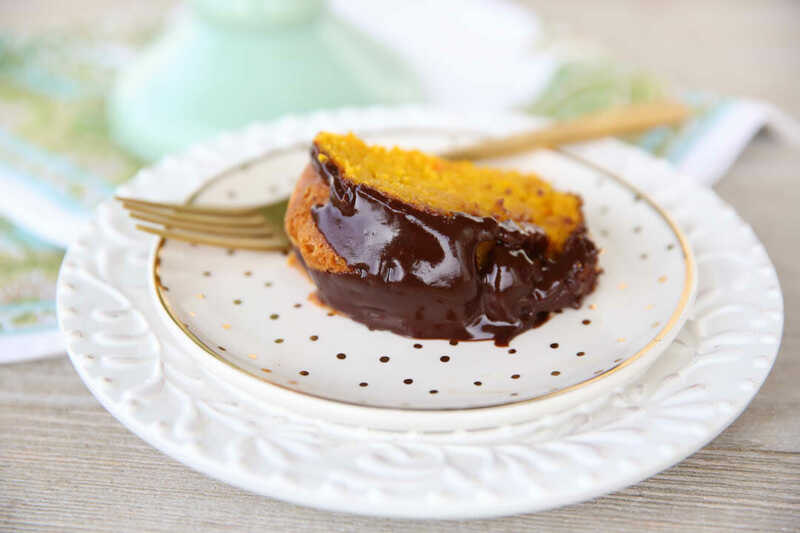 A tender fluffy cake with a natural sweetness from pureed carrots, topped with chocolate frosting. Preheat oven to 350 degrees. Spray a 9×13 pan with non-stick spray OR butter and flour a budnt pan. 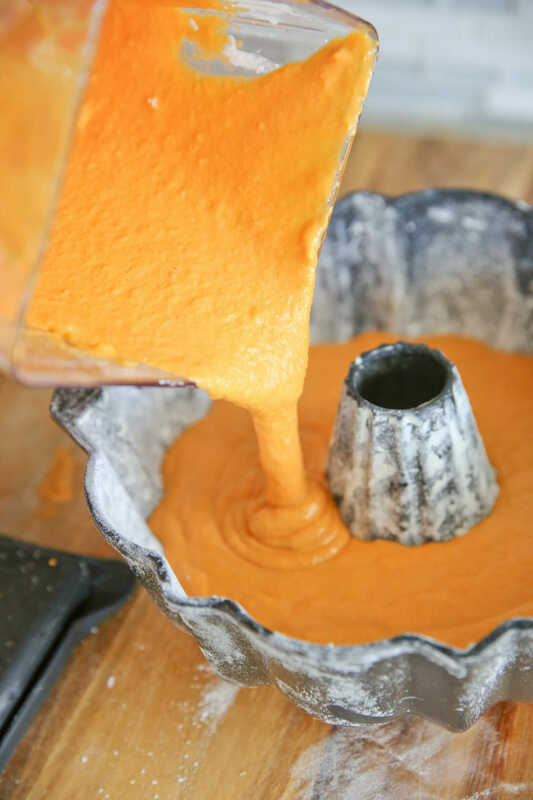 Place carrots (no need to peel them), eggs, and oil in blender and blend until smooth. I suggest leaving the blender on for a full minute to make sure it’s nice and smooth. Add sugar and pulse to combine. Add dry ingredients and gently stir with rubber spatula and then blend until evenly distributed. Pour batter in prepared pan and bake for about 30-40 minutes (depending on your pan, keep an eye on it) and remove from oven with a skewer comes out with just a few moist crumbs attached. If using a budnt pan, let cool to just barely warm before inverting. To make glaze combine all ingredietns in double boiler (simply place a glass bowl over the top of a pot with a couple inches of simmering water in it) and stir until melted and smooth. Pour over cake and serve. What a beautiful story- seriously your sweet words made me a bit emotional. I’ve never heard of Brazialian carrot cake. We’re huge American carrot cake fans at my house (absolutely no nuts, pineapple, or raisins though!). Secret is cream cheese in the cake too! I think I’ll give yours a try but do the carrots really blend smooth without cooking first? Exactly! I have the exact same question about the carrots. Should we heat those carrots up a little bit? I love the story! ❤️ When I first saw the post about carrot cake, my first response was, eh. After reading your description of it, I’m definitely going to try it!! Thank you! Nope! No heating necessary- just blend it. I leave the blender on for a full minute to make sure they are nice and pureed. Aw, I loved your story. Thank you for sharing. I can’t wait to try this cake! 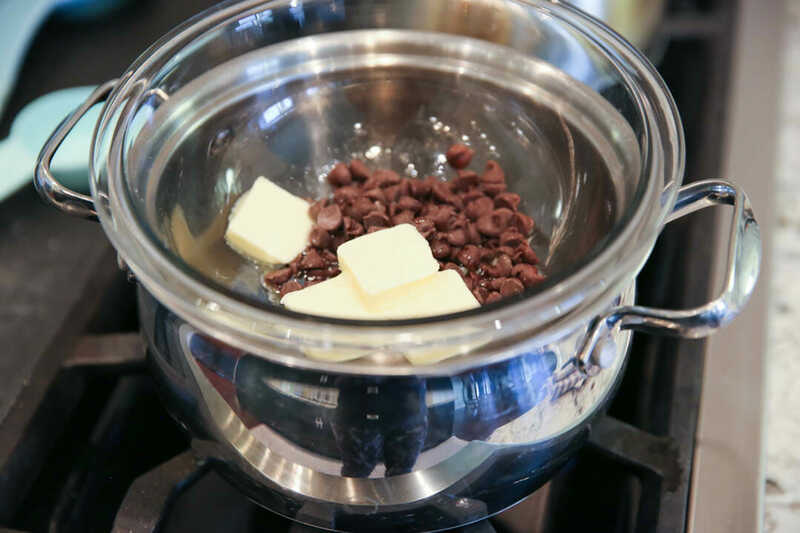 Great tip on the double boiler! I have avoided recipes that use one because I don’t have one and didn’t want to take up the cupboard space with something I would rarely use. You have just broadened my horizons. ? Oh ya- just “make” one! So quick and easy! I’m surprised I’ve never heard of this cake! My dad served his mission in Brazil and is a Brazilian by heart, so we always ate Brazilian food growing up. We lived in Brazil for a few months when I was a teen and we never had it there either! I’m anxious to try it! I always love when you blog about the Brazilian recipes. You help me adapt my favorite recipes! Plus make me less homesick. Here at work i once showed the Brazilian carrot cake to a co-worker and she loved the idea. She baked it (I might have gotten a slice… or three), plus her whole family loved it and now it is in her mom’s catering menu. The carrot cake color is just beautiful and it’s great in the afternoon with a latte, tea and a bunch of friends. 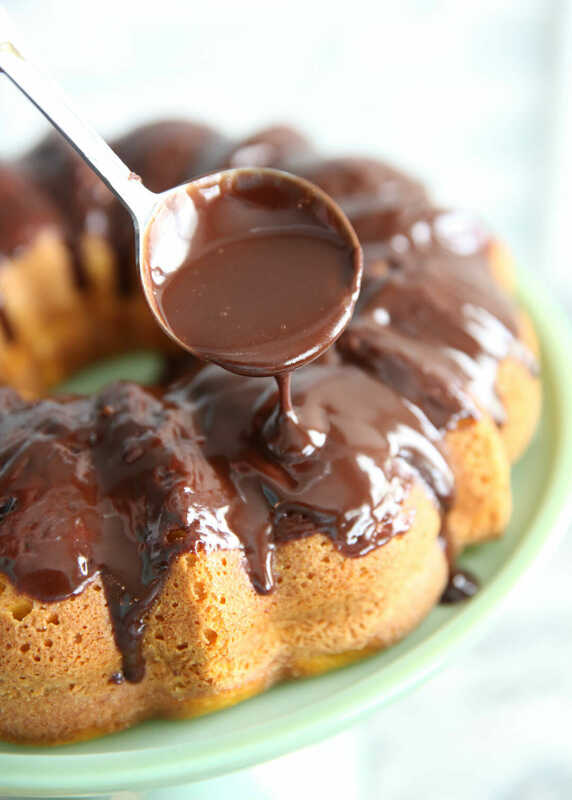 For something extra rich, you can also use “brigadeiro” as glaze. I have a Brazilian exchange student and I just put her birthday carrot cake in the oven. I am making brigadeiro for top. Anxious to taste. Painting on the chocolate totally made me think Princess Bride “the chocolate coating makes it go down easier” lol. Hi! I am Braziliam and here at our house the glazed is a “brigadeiro” made to be more thin than normal. That is how my kids love it. Try it! What a lovely story and what a delicious looking cake, I was wondering could this cake be made with whole wheat flour instead of white flour? You could try, but it probably won’t be quite as light and fluffy. Whole wheat generally doesn’t do too well in cakes. I made this today and it turned out perfectly. This really is a fool proof recipe! It’s delicious and unique and will be the perfect dessert when we do brazilian food for dinner (my husband served a mission there). I love your pao de quiju recipe too! Thanks for sharing. Can’t wait to try this! Orange is my favorite color! And a great way to sneak in some nutrients in my vegetable-adverse 7 year old. One question though, do you peel the carrots or just give them a good scrub? Nope, as long as they’re clean, just chop them up! It looks as if you did not even peel the carrots…now that is saving a step, right? If by chance, one does not have a blender, could the carrots be cooked slightly and then put in a food processor? This looks so good and I have never heard of this cake. Thank you so much for sharing the recipe! That’s right, no need to peel! Ya, if you don’t have a blender, try a food processor. Which mission?? Our daughter is serving in Belém right now!!! I’m totally making this in her honor! Thank you! Total opposite end of the country- Curitiba 🙂 But one of my best friends and comps is from Belem! You know it’s a legit Brazilian recipe when it’s made in a blender! My hubs served his mission in Campinas and I’m always trying out new Brazilian recipes just for him (the rest of us love all things Brazilian too), I’m so excited to make this! Thanks for sharing! My daughter arrived in Brazil yesterday. We have loved exploring the tastes of Brazil over the past few months getting her ready to go. I have a couple of amazing Brazilian friends who have taught me to make all sorts of yummy authentic dishes to serve with Guarana. I am for sure going to try this cake– and then ask my friends why they never shared this one! Btw-my son leaves in July for Brazil also so I’ll be eating Brazilian for a long time! We like carrot cake at our house – our wedding cake was carrot cake, all 6 layers of it! I definitely need to try this. I am so excited to try this! My in-laws are serving in Curitiba right now so this will be fun for our family to experience a taste of what they get to eat. Awe, Curitiba is where I was! I made this and loved it… And I have literally no connections to Brazil. I was just really intrigued by the idea of blending up raw carrots in the blender for cake, and it worked beautifully! 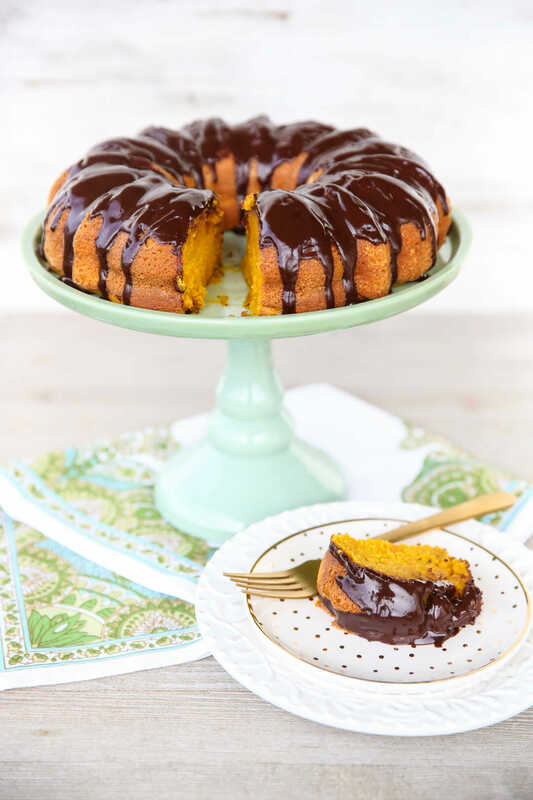 The next time I make this, I might even take it a step further and put it into two layers and put a layer of orange marmalade in between before putting the ganache on top. I ended up testing my theory by smearing orange marmalade on a few slices I ate today, and it was truly amazing. So glad you liked it! Orange marmalade sounds amazing with it! Interesting cake. Paula Deen has a recipe for carrot cake made with baby food carrots. I have never tried it as I and my family enjoy the shredded carrots. I replace 1/2 of the oil with coconut milk and also put a small can of crushed pineapple in it. Everyone really loved it that way. I use the home made cream cheese frosting and found a recipe that there was not as much powdered sugar as most call for. It is a heavy cake but I am able to make it a 2 layer. Happy Baking. We don’t do carrot cake at my house because of allergies to pineapple and walnuts. I think I’m going to try this one though. You had me at Brazilian carrot cake!! I love this cake and also have happy memories eating it as a missionary in Brasília years ago. I enjoyed your mission memories and pictures. Brasil will always have a special place in my heart too. Thanks for the recipe! I will make it so I can show my kids what “real” carrot cake should taste like. 😋 Obrigada!! This is in the oven right now! Thanks sooooooo much for posting this recipe. My family is Brazilian and makes this all the time, will be nice to have a taste of “home” while abroad. Your english is great, Beatriz! Thanks for your comment! 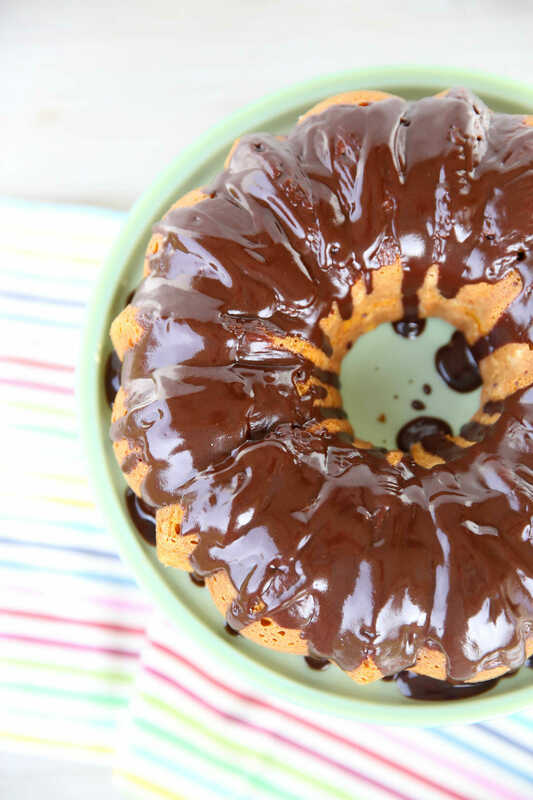 Do you think this cake would do ok in a sheet pan? I think it would bake just fine- I’m just not sure on the sizing- I would think you would need maybe 1 1/2 x the recipe?